The daisy has an innocence and simplicity that makes it an immediate favorite of young and old. Here are the 10 most interesting things about daisies. Daisies belong the family of “vascular plants” – those which circulate nutrients and water throughout the plant. They make up almost 10% of all flowering plants on Earth. “Daes eag” is thought to mean “day’s eye”, after the way in which it opens at dawn. This was classified by Paul Dietrich Giseke, a German botanist and close friend of the Swedish “father of modern taxonomy” Carl Linnaeus. The (usually) white petals count as one flower and the cluster of (usually) tiny yellow disc petals that form the “eye” is technically another. Daisies are thought to slow bleeding, relieve indigestion and ease coughs. 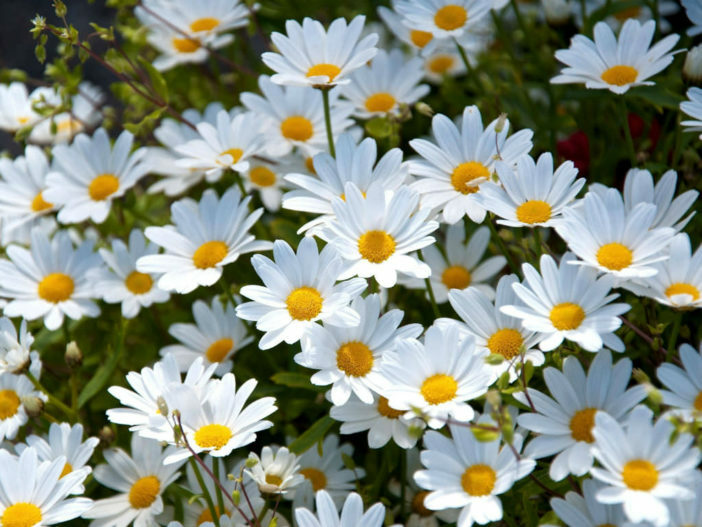 In homeopathy, the garden daisy is known as the gardener’s friend for its ability to ease an aching back. This is because they thrive in generally inhospitable conditions are are resistant to most bugs and pesticides. These include Goldenrod, making them an important friend of honey makers.